Hi girls! I hope you've all had I great week so far. 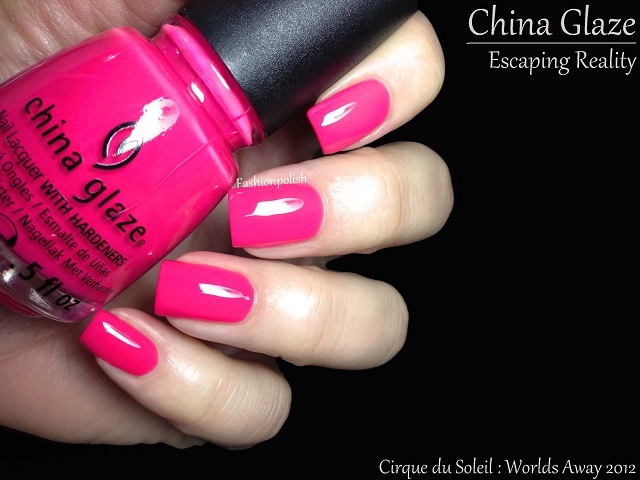 Today's post is the newest China Glaze collection and collaboration, the Cirque du Soleil : Worlds Away. I really wanted to post it yesterday but I fell asleep right after dinner. I don't know about you but the middle of the week is always the toughest for me. YAY for almost weekend! Anyway, let's see what the first half of this collection looks like. 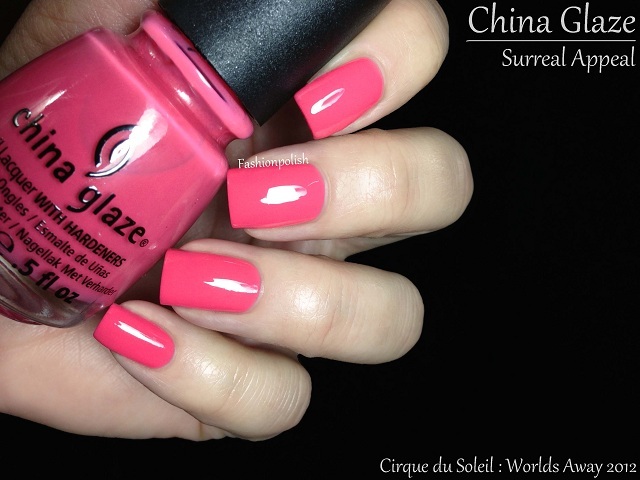 Surreal Appeal is a very bright coral pink crelly (creme/jelly hybrid) leaning neon. If you asked me, I wouldn't have been one of my first picks but I changed my mind the minute I put it on! Fomula was great, thin without being runny and extremely shinny. I used 2 coats here and no topcoat but you light need a third one if you don't wait enough between coats. Escaping Reality is the second pink of the collection, it's darker and more blue based but it also has some crelly and neon characteristics. Big surprise, I love it too! Formula was very different from Surreal Appeal, more opaque and drying to a satin finish but still amazingly even and easy to apply. I used 2 coats plus topcoat. 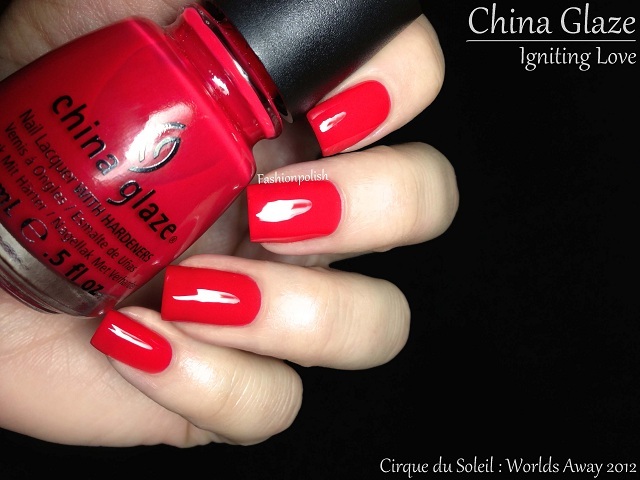 Igniting Love is really saturated tomato red crelly. I love reds like this Formula was also, no big surprise here, very good. I used 2 coats, no topcoat, they applied evenly and dried to a shinny finish. 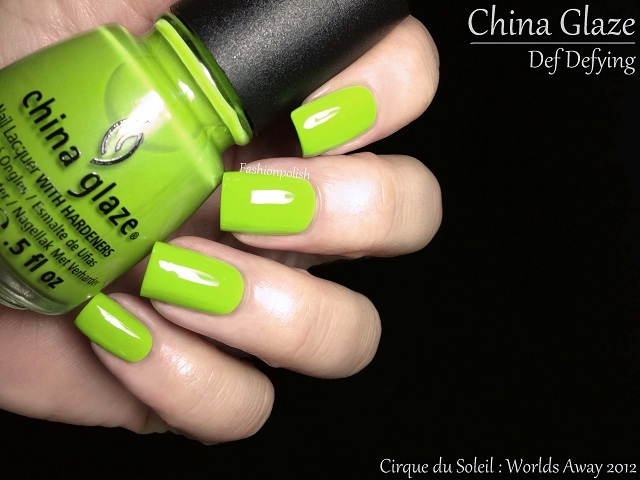 Def Defying is a chartreuse green creme. It was a little on the thick side but still very manageable. This is 2 coats plus topcoat. 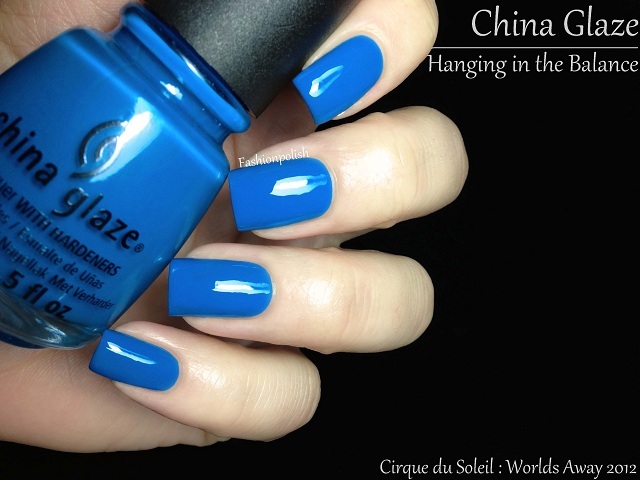 Hanging in the Balance is a bright blue creme. Probably not the most original blue but it's still really beautiful. 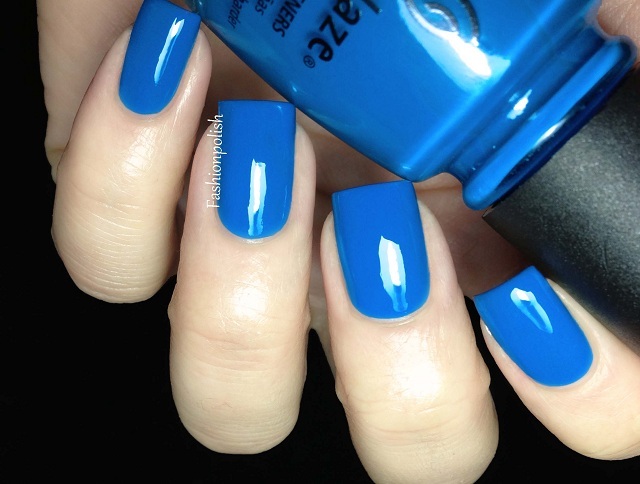 It applied nicely and evenly in 2 coats and formula wasn't too thick or thin. 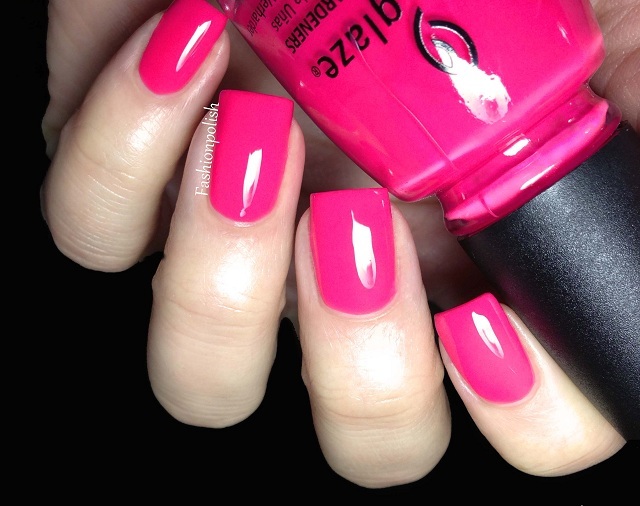 I used topcoat in this swatch. 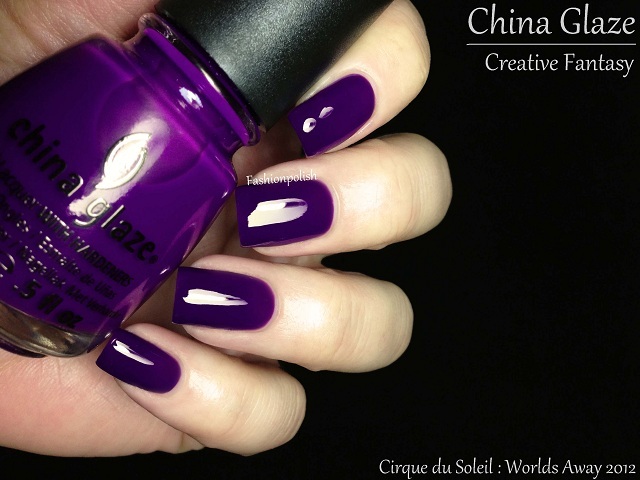 Creative Fantasy is a medium to dark warm purple crelly that dries satin and darker than the bottle. 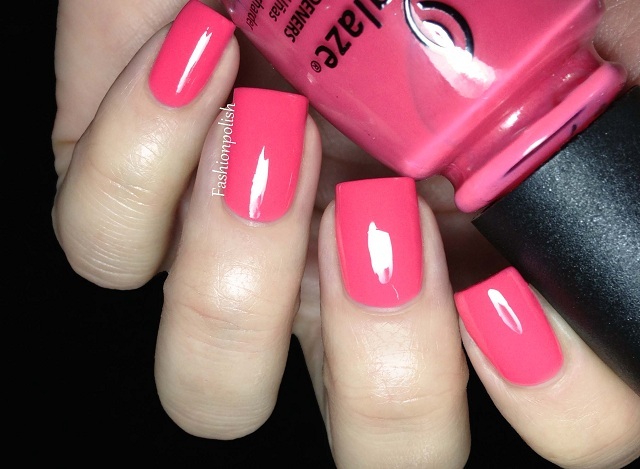 Formula was on the sheer side and I used 3 thin coats for full opacity. I love that all of these cremes are really bright. Of course, I wouldn't expect less from a Cirque du Soleil collaboration LOL. Surprisingly though, I don't only like the blue and purple but also both the pinks and red! I love the purple and first pink. Hopefully it's not too bubblegummy! But theyre all lovely. Great colors! Loved them all! These are so much fun, and I just ADORE your swatches! They're fabulous! Def Defying is lovely! 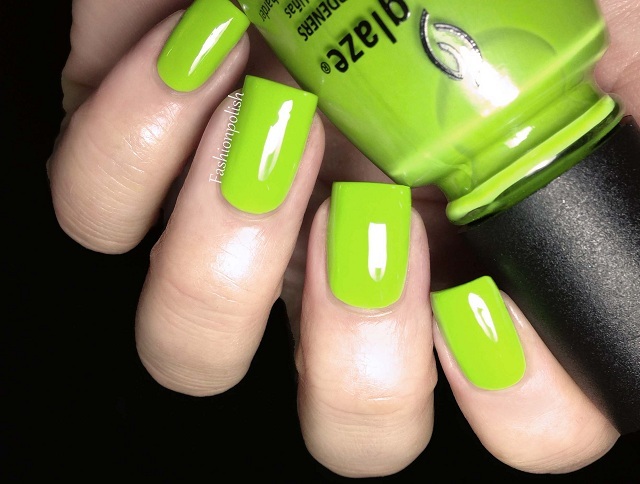 They all are but wow.. That green is mind-blowing! Def Defying is my favourite by far! Oh noes! I think I love almost all of them. The blue one isn't necessary but the others. So shiny. for me this collection is amazing! Initially was not too excited over this collection - Shades looked a lot like others I had seen or have..but now that I keep looking at it, they are kind of growing on me - it's not in the stores here yet (Sally's only place we have that carries ChG around me)..so now I am not too sure if I will pick up some or not. Oh shoot. I already purchased It's a Trap-eze and Water You Waiting For thinking that's all I wanted from the collection but now that I'm seeing your swatches I'm starting to rethink some of the other colors.... Gah! 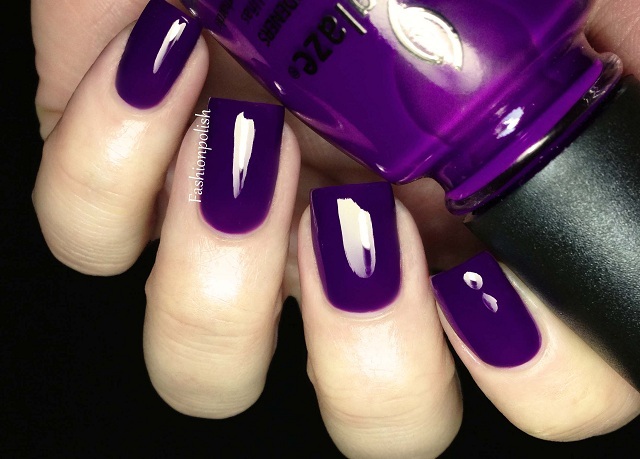 I got a back up bottle of the purple - I love the deep jelly look it has, so glossy and perfect. Might have to grab one of the pinks too! 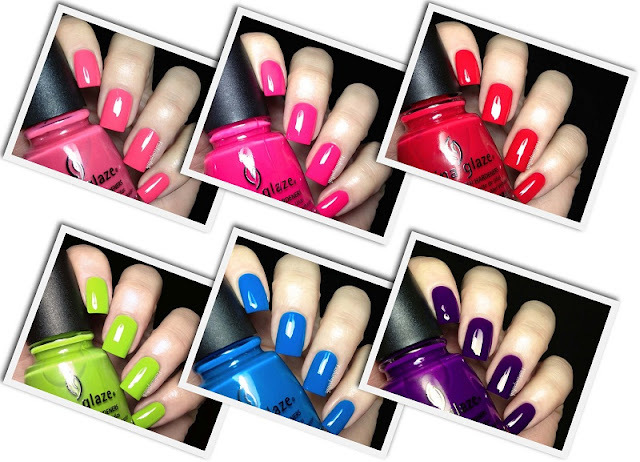 I love all of these so much, more so now that I've seen your swatches of them. I wasn't going to buy any but I might have to have at least Creative Fantasy and Igniting Love. These are all gorgeous! 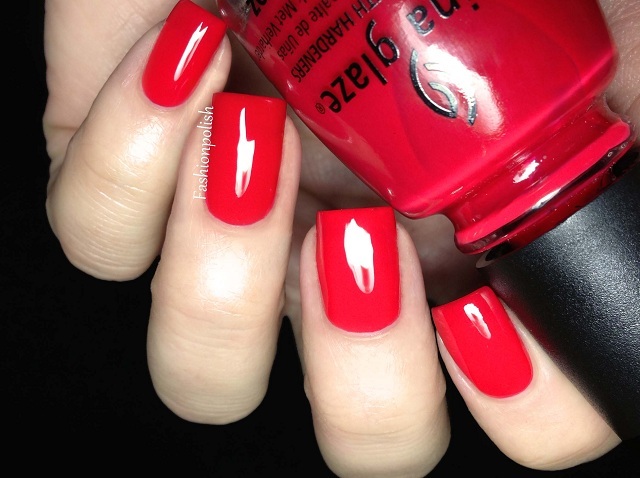 Very vibrant!! !